In today's news: The Arizona governor signs legislation that prohibits tracking devices from being used on firearms. The NRA and USCCA have a major falling out–the NRA disinvites the USCCA from this week's NRA Annual Meetings & Exhibit. Is it because the NRA is getting ready to roll out something similar to USCCA's already popular insurance program? 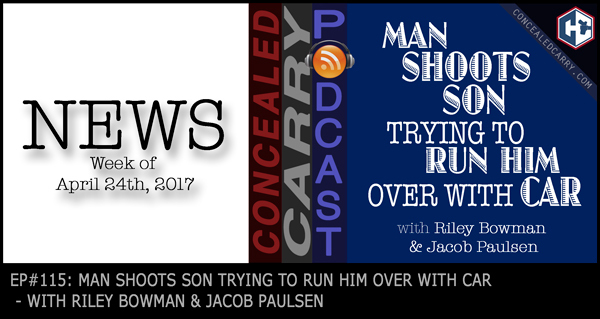 Don't miss out finding that out as well as don't miss the crazy story where a Texas father is forced to shoot his own son trying to run him down with a car…listen in now!! A Sneak Peek at Springfield Armory's New Defensive Pistol? NRA VS USCCA: What’s The Real Issue At Hand?